Mr. Fred Stroble, 80, of Summerville, SC, a retired U.S. Marshal, entered into eternal rest on Saturday, February 2, 2019. 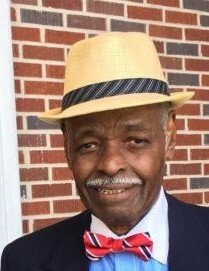 The relatives and friends of Mr. Fred Stroble are invited to attend his Funeral Service 11:00 AM, Friday, February 8, 2019 at Morris Brown African Methodist Episcopal Church, 13 Morris Street, Charleston, SC. Interment - Carolina Memorial Park, North Charleston, SC. Wake Service will be held Thursday, February 7, 2019 from 6:00 PM - 8:00 PM at the church. The family will be receiving friends at 7804 Rosin Drive, North Charleston, SC 29418.